Cooktops Tops and Range Tops: Which Is Right For You? 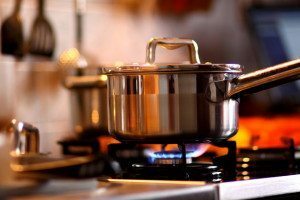 Cooktops and Range Tops: Which Is Right for You? Do I want a cooktop or range top is the question many people ask themselves when remodeling. Many American homeowners today are choosing remodels over buying a new house, and the kitchen is often the first big project people undertake. The popularity of cooking shows and celebrity chefs has prompted many people to consider adding professional or high-end kitchen appliances, including wall ovens with a separate countertop cooking surface. Read on for some ideas on these popular appliance choices. Using built-in or wall ovens, as opposed to a standard all-in-one range, has many benefits. If you plan to add a wall oven to your kitchen, you will also need a cooking surface. A popular choice is the cooktop, thanks to its amazing flexibility. Cooktops are available in both gas and electric models and in a variety of widths and configurations. Light and low-profile, they require only a cutout in the countertop with no special changes or modifications to the supporting cabinet underneath. Burner controls are located on the top surface. Smooth glass cook tops are the most popular choice today, but gas models are also available. What Is a Range Top? Range tops are considered more of a professional-type cooking surface — larger, heavier, more expensive and more flexible than a cooktop. They are usually available only in gas models, and require modification to both the countertop and the underlying cabinet. Unlike a cooktop, which requires the support of the countertop on all four sides, a range top protrudes beyond the cabinet in front, where the control knobs are typically located. Range tops typically offer the option to include a grill, griddle or other specialty cooking surface such as a French burner. Whereas cooktops are typically black or white, range tops are almost always finished in stainless steel. Which is Right for Your Kitchen? If you are attempting to choose between a cooktop and range top, consider a few key points, such as your kitchen layout and the space you have available for your cooking surface. Your lifestyle and cooking habits are important as well. If you cook a lot, especially in large quantities, you may require a larger surface and a more flexible cooking experience than a cooktop provides. Budget is also important, as cooktops are more affordable than range tops. If you plan to keep your existing cabinets or countertops, check with your renovation contractor to determine which option is most workable for your space and budgetary constraints. 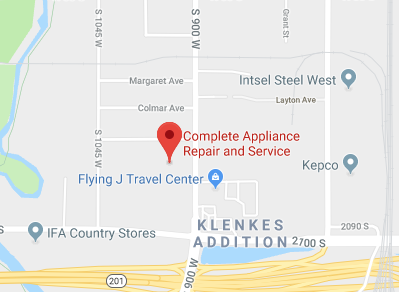 In Salt Lake City and the surrounding areas, Complete Appliance Repair can assist with both sales and installation of your new appliances, as well as future service, maintenance and repair needs. Contact Complete Appliance for all the information you need on cooktops and range tops. This entry was posted in Blog and tagged Cooktops and Range Tops, Kitchen Remodel on March 24, 2015 by admin.